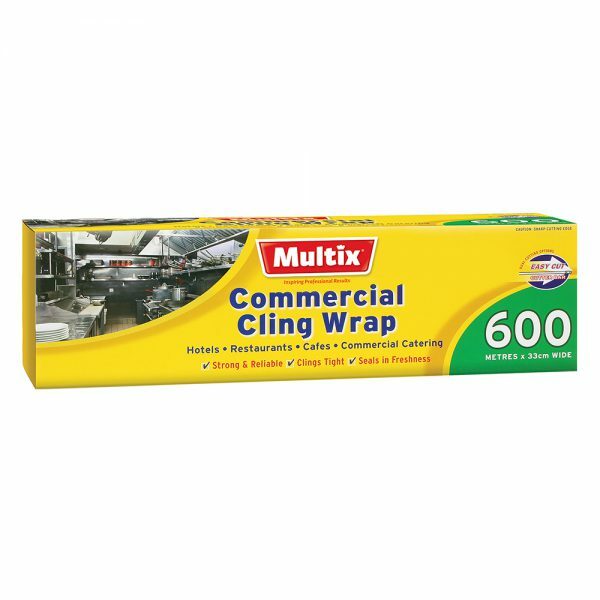 Multix Commercial Cling Wrap is ideal for Hotels, Restaurants, Cafes and Commercial Catering. It is strong, reliable and cling tight. It seals in freshness. Size: 600m x 33cm wide.